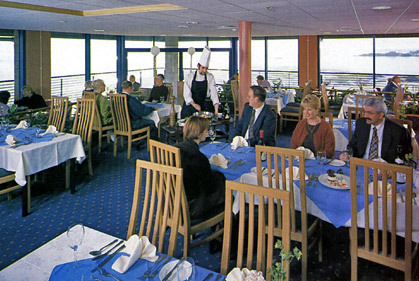 The Bay Hotel is a family run Hotel located on the coast between Burntisland and Kinghorn in the Kingdom of Fife within easy reach of the nearby towns of Kirkcaldy, Glenrothes, Dunfermline, Edinburgh City and Edinburgh Airport. 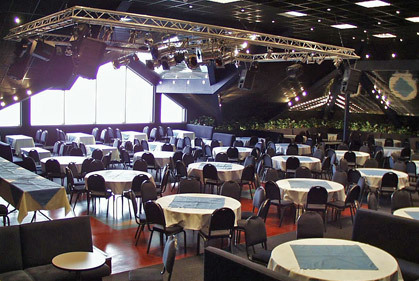 The hotel is situated in a stunning location with south-facing views over the two mile Pettycur beach and the Firth of Forth looking towards the city of Edinburgh, Arthurs seat and the magnificent Edinburgh Castle.All 28 bedrooms are tastefully designed to a high standard in a contemporary style. We offer a choice of accommodation from deluxe rooms to executive suites which provide some extra indulgence. The suites are built on two floors, with a mezzanine level bedroom and can accommodate up to 4 guests and an additional 2 children. Enjoy stunning, uninterrupted views from your balcony across the River Forth to Edinburgh and beyond. 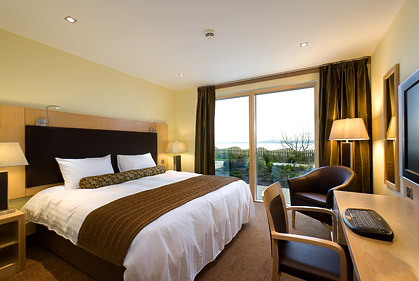 The Bay Hotel features 28 luxury, en-suite bedrooms - several of which are equipped for disabled access and facilities. Our rooms are fitted with state of the art intelligent, energy-efficient lighting and air-conditioning, wireless (WiFi) broadband internet access, 32" Flat panel digital satellite television, mini fridge, movies on demand and en-suite bathrooms. For your comfort all rooms are Non Smoking and are fitted with state of the art Smoke and Fire Detection system. Incorporated in all bedrooms are Trouser Press, Iron and Ironing Board, Nicky Clarke Hair Dryer, In Room Safe, Heated Towel Rack, Mini Fridge, Shower or Shower/Bath, Room Energy Saver, Room Privacy Security, Telephone, Music on Demand, PC Free Internet access (via T.V. ), Hard-wired Internet access, WiFi access, Early Morning Wake up Alarm, Tea & Coffee facilities, Travel cots on enquiry and Feather Pillows (Foam Pillows available on request). 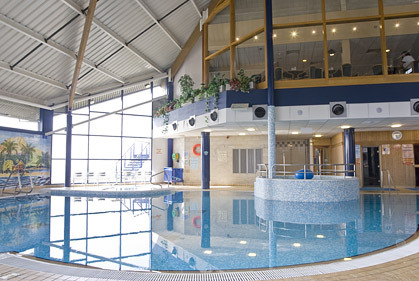 All guests have complimentary access to the Swimming pool (including sauna and steam room) during their stay, with a nominal charge for all other services chargeable to the room. Other guest services may be charged directly to your room, i.e. restaurant meal, drinks from the bar etc. 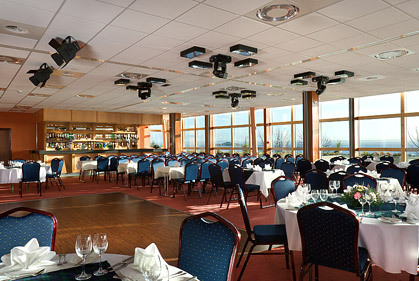 All Suites are south facing overlooking The Firth of Forth, towards Edinburgh. They all have a Mezzanine level bedroom and balcony. 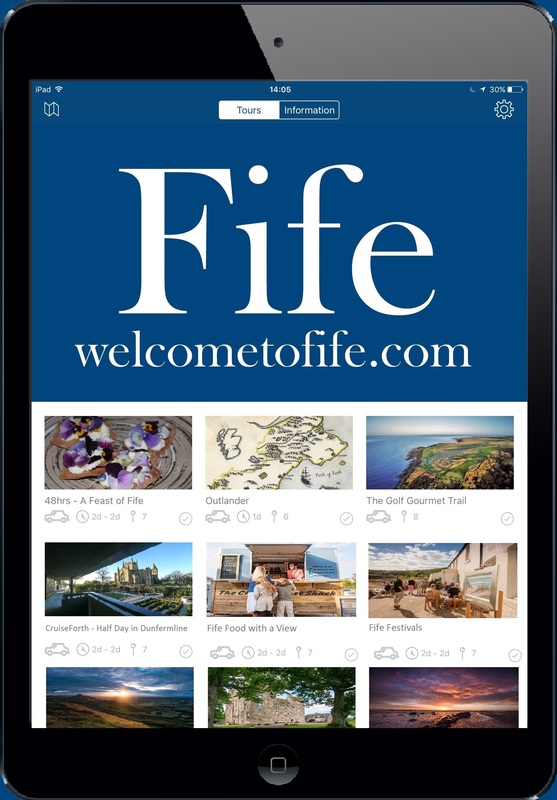 From Edinburgh follow the signs for the Forth Road Bridge – M90. After Road Bridge exit junction 1, on to A921 to Inverkeithing. 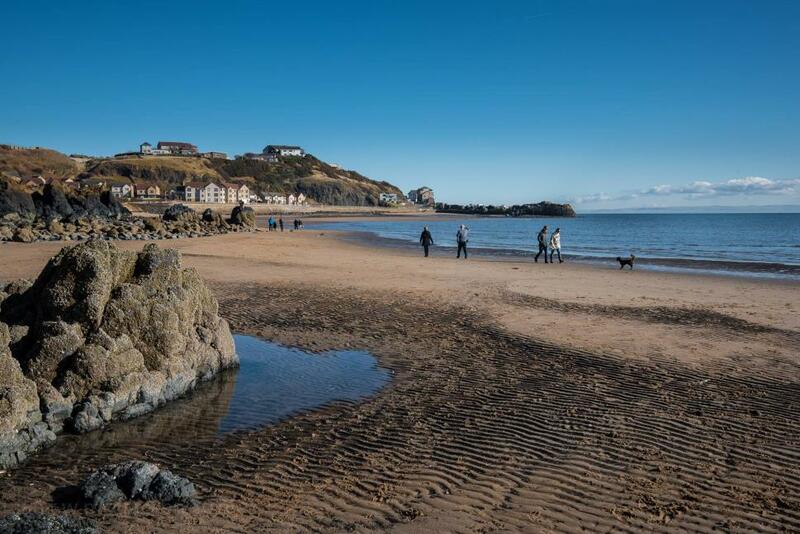 Follow the road to Aberdour, on to Burntisland and just before Kinghorn you will see The Bay Hotel on your left hand side, adjacent to The Pettycur Bay Holiday Park. From Glasgow take the M8 and follow the signs for Forth Road Bridge, then directions from Edinburgh as above. 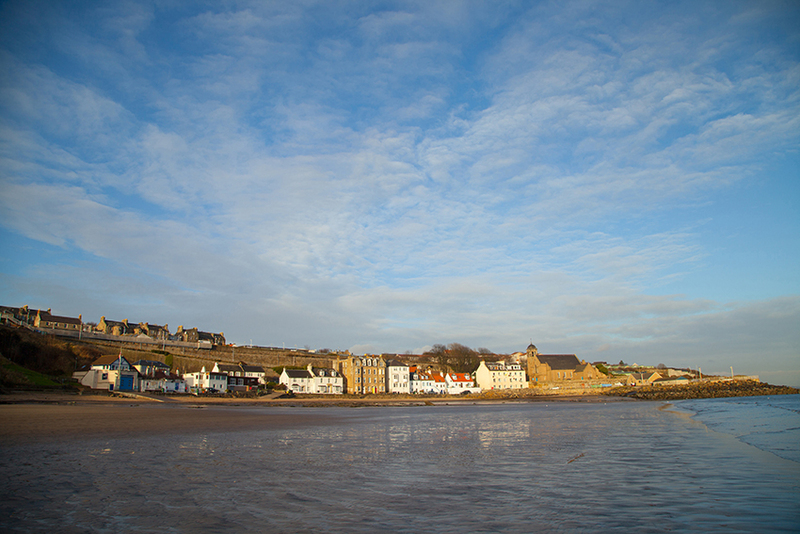 Picturesque beach with views over the Firth of Forth. This small pier and bay are used mainly by local small leisure and fishing craft. 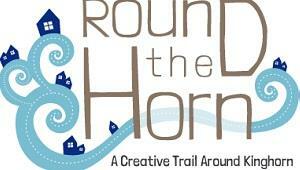 Round the Horn represents a collective of artists, makers, designers and creative folk based in Kinghorn, with their next opening planned for 12th November 2016. 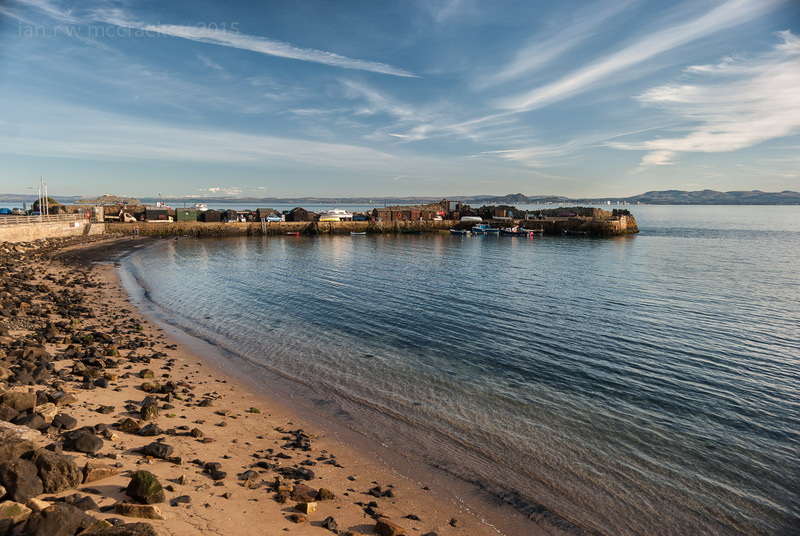 Pettycur Bay is a small, sheltered, sandy bay with breathtaking views of the Firth of Forth. 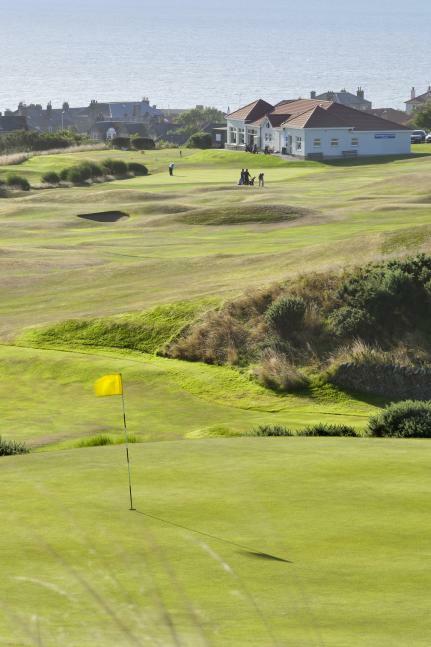 Situated in Fife, on the East coast of Scotland, Kinghorn is an 18 hole links course with fine views over the Firth of Forth to Edinburgh. 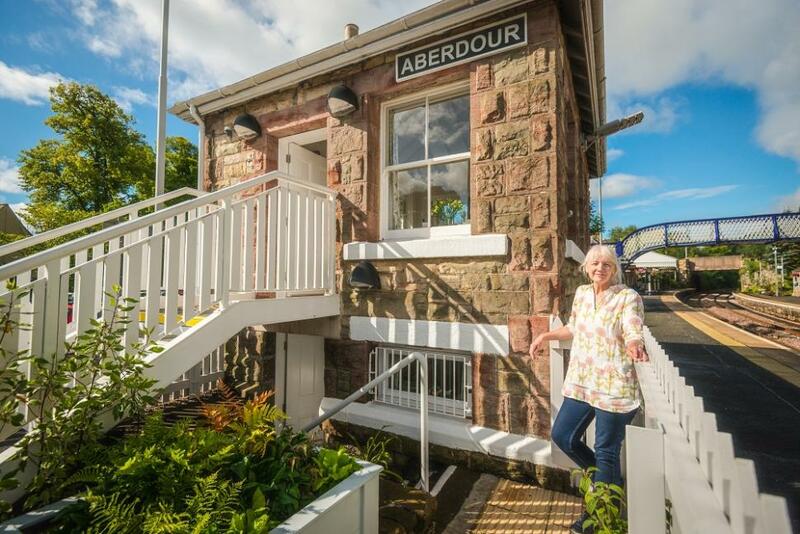 Hop on The Art Line, Scotland's only studio trail by rail.